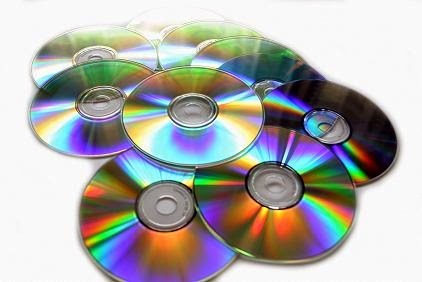 Do you have lots of old CDs in your house? Are you planning to discard them? If the answer is Yes, think twice before you trash them. This post will help you in making beautiful photo frames out of those old CDs. 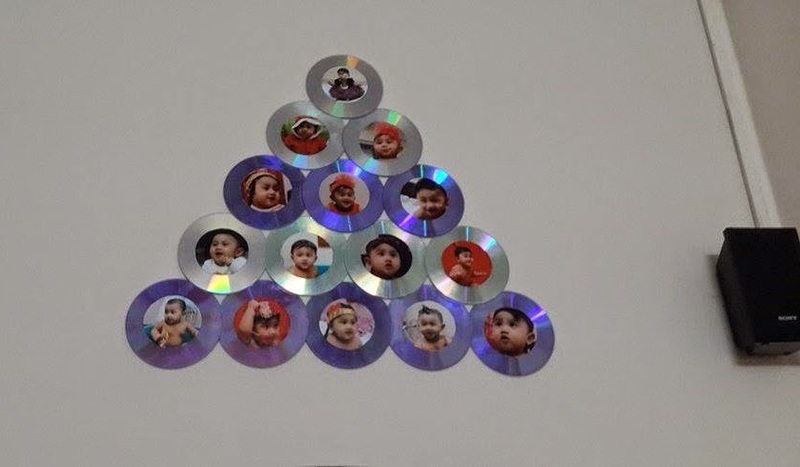 1) Take all the CDs and stick them so that a triangle is formed. The last CD should have two or three drops of glue because this one CD will hold together all the other CDs. 2) Now you need photos to be stuck on the CD. 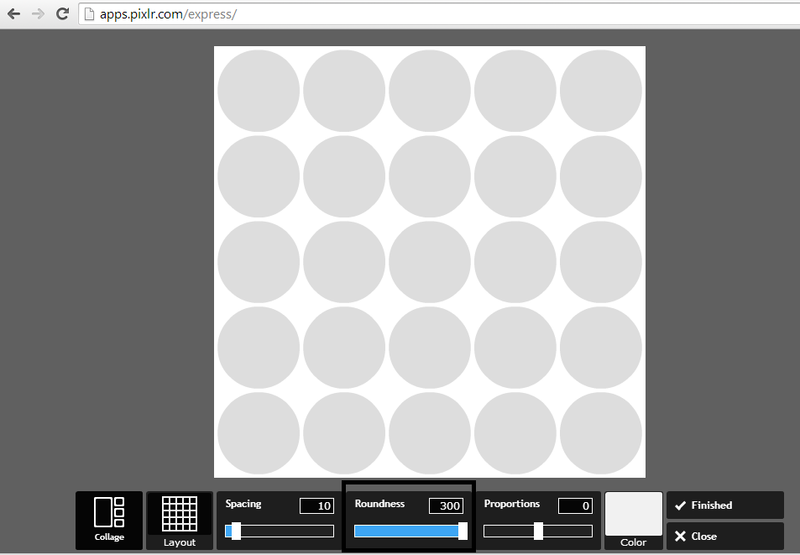 If you are not good in Photoshop and if you are not that good in designing, you can use PIXLR (Poor man's photoshop) to create round shaped photos for the 15 photos. 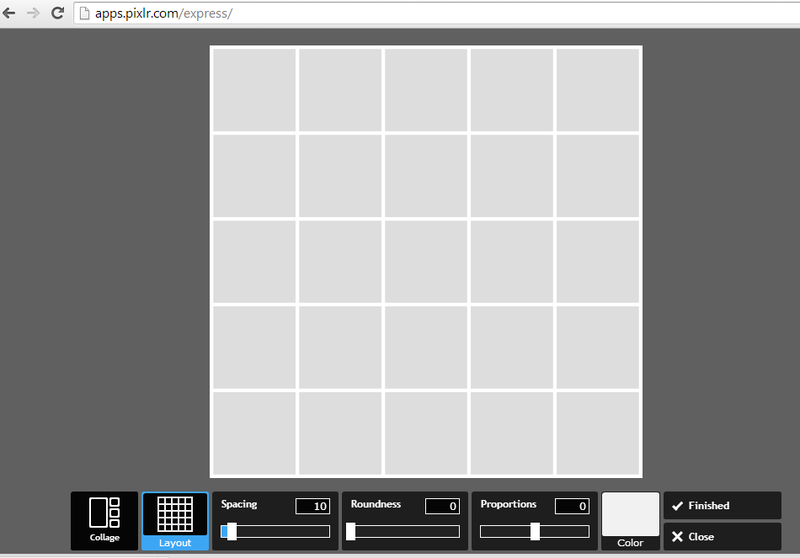 d) Select Layout and choose the 5 X 5 matrix layout. e) Select roundness and give maximum value to it (300). 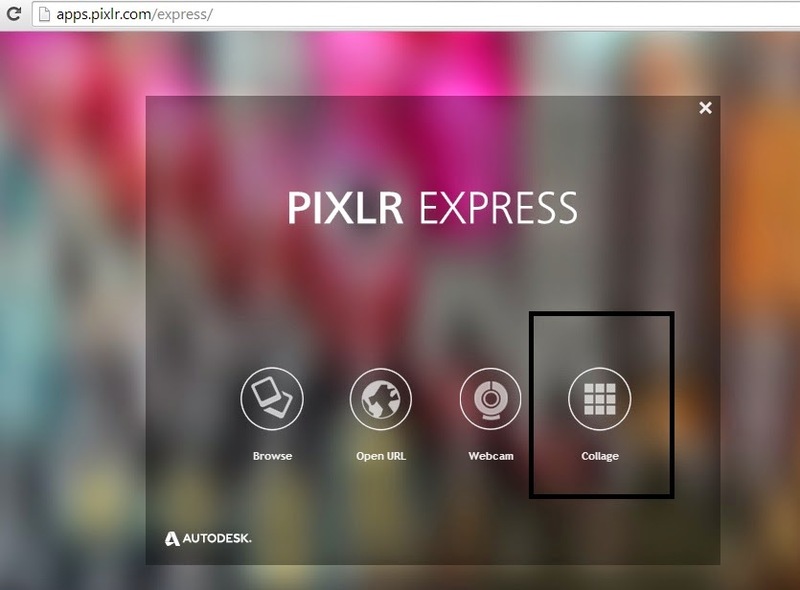 Now you can add your 15 photos by just adding the picture into each circle by clicking the + icon inside each circle. It is very simple. f) Once the first three rows are filled with photos of your choice, you can save the picture and take a print out of the same in an A3 paper. A Colour print out of the same will cost you between Rs 20 - Rs 30. Use a Photo paper or a board paper for better results. This is the output that I got. I used pictures of my daughter. 2) Cut the photos carefully and place it on the CD frame. Use the Fevi stick and stick the photos on the frame. You can use the top CD to hang on a nail on the wall. Within two hours you have a beautiful creative photo frame that you can hang in your drawing room. The total money spent for this will be less than Rs 70. If you have to buy such a frame in the market, you will have to shell more than Rs 500 for the same. Once you are comfortable with this shape, you can also try different size and shapes using the CDs. 714. Are you a love failure?